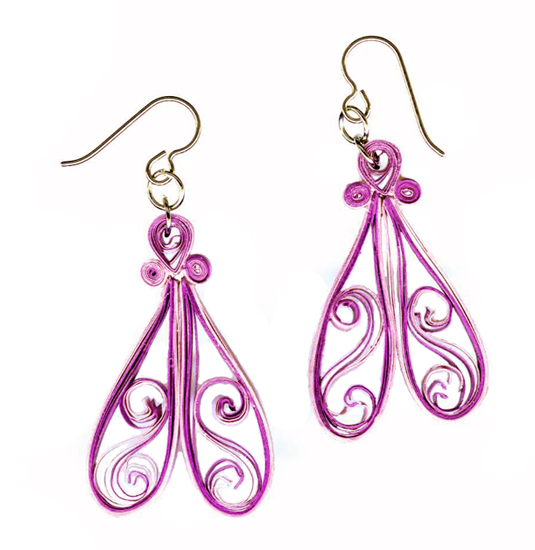 Lovely violet filigree dangle earrings make an elegant statement. For those with sensitive ears that can't tolerate heavy earrings, these ultra lightweight earrings are the perfect choice for big and bold earrings! 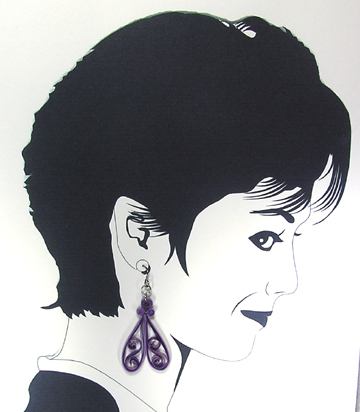 �Created by the art of paper quilling by Jo Davis, they are light-weight and made for delicate ears.